A little boy is given the gift of a beautiful stuffed rabbit for Christmas. The little boy learns to love his rabbit so much he becomes real! A children’s classic to inspire even the youngest of imaginations. 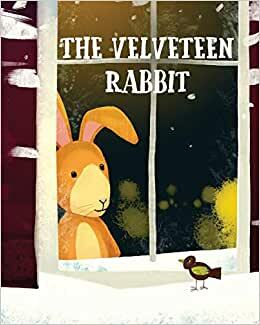 Start reading The Velveteen Rabbit (Illustrated) on your Kindle in under a minute. 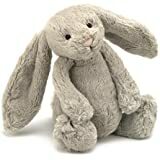 When I was a very young child, so young that I do not remember the actual gift, my mother purchased the book along with it came a stuffed toy rabbit. I do recall taking it to her as a young child and showing her that an eye fell off or a seam came undone and she carefully repared it. I put it away in a trunk when I was in high school and forgot all about it until one day after my wife and I were married my mom suggested that I take the old trunk with stuff in it to our home. I did and inside the trunk when I opened it was my old teddy-bear & rabbit. I recall reading the Velveteen Rabbit for the first time when I read it to my kids and along with the reading showing them the rabbit, some time during my kids younger years the rabbit gained a necklace depicting Buzz-Lightyear. I still have these toys, and I imagine they are quite real and have been for the past seventy years or so. When I heard from your grandfather of your arrival here on Earth I went directly to my bookcase to fetch my personal copy of this little story. Grandfather was in quite the hurry to get to the airport so he could fly to meet you. No time to get your name or other particulars. I reckon, "The Velveteen Rabbit", to be a welcome addition in any baby's library. I hope you like it. Seeing as you'll be quite busy, presently, growing hair and teeth and the like, and also not reading as yet, you should want to have someone read to you. May I offer my humble advice. Never too early to start. Once you're properly changed and fed, you should want to sit comfortably in someone's lap and be read to. It is the right duty and proper responsibility of those who read, to read to the young. This, as yet, has not been enshrined in any constitition of any sovereign nation I know of, but civilisation, Baby-person, is still in its infancy. Do not be a slave to perfection. No matter if the speaker is less than the best orator, or speaks with an accent, what matters is heart. The reader must really want to be there. A person with the clearest facility of diction and most melodious of speaking voices, who is thinking of the ball game or shopping, or lunch, whilst reading aloud to you, had better just be silenced. Close the book and tell the creature to bugger off and seek their heart's desire elsewhere. Find someone who really wants to be with you, and a good time shall be had by all. There are so many wonderful stories in the wide world, not the least of which, the story you shall write for yourself. The one which is your life to come. I wish you all the best in your endeavours, Baby-person. This new version, published by Suzeteo Enterprises, ISBN 978-1-947844-20-9, captures the look and feel of an original copy for a reasonable price. 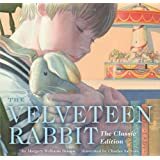 The masterful illustrations by William Nicholson have never been surpassed and add great dignity to Margery Williams's poignant story of the toy Velveteen Rabbit that is made Real through the power of love. I especially encourage adults to read The Velveteen Rabbit again, or for the first time. 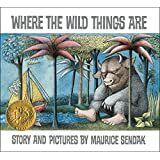 As with many of the best children's books, it takes on greater meaning later in life. One last point: Amazon continues to group together numerous versions of the same book under one heading. It is essential, if you want your comments to be useful to others, to include detailed publishing information about the edition you are reviewing, including the ISBN number. 1.0 out of 5 starsHorrible edition (paperback), don't buy it! This is an absolutely horrible edition, in no way deserving of such a lovely classic story. I'm referring to the paperback, brown front cover featuring the rabbit (ISBN 9781511859066). Inside it's basically photocopies, it looks cheap and fake. Indeed horrible. It's hard to go by the reviews, because for some reason reviews here don't match the paperback edition, they're either misplaced or people are just reviewing the story (which is wonderful). Don't buy it, seriously. It doesn't even have the publishing house details, so it can easily be considered a fake. If I hadn't bought it through Amazon I would seriously be considering it was piracy. The picture I'm sharing shows how one of the original pictures (which takes two pages) is a black and white photograph fitted into half a page. Absolutely awful. Amazon should seriously consider taking this out of their catalogue. I downloaded this book for my child to read for her book report. She only got through a few sentences before she told me this isn't the right one, it has a girl named Hannah instead of a boy. I looked at it and she was right. This is not the original Velveteen Rabbit that we all know and love, someone personalized it as a vanity project for their own kid Hannah and uploaded it as if it were the original, and gave no indication that they did this in the book description. I feel like they stole money from me and am pissed. I'm glad my daughter already knew the book was supposed to have a boy, or she would have failed her school report. Shame on whoever did this.